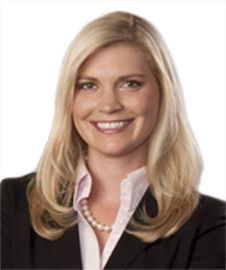 Meghan M. Goodwin joined Thorndal Armstrong as a law clerk in 2009 while attending William S. Boyd School of Law and was later hired as an associate in 2010 when she was admitted to the Nevada State Bar. She is also admitted to the U.S. District Court District of Nevada. Ms. Goodwin earned her Bachelor of Arts degree in Journalism and Media Studies from the University of Nevada, Las Vegas in 2005 and her Juris Doctor from the University of Nevada, Las Vegas William S. Boyd School of Law in 2010. In the summer of 2008, she was a Judicial Extern to Honorable Douglas W. Herndon. Prior to attending law school, Ms. Goodwin spent several years working in hotel operations at one of the premier Las Vegas casino resorts. Ms. Goodwin’s practice focuses on general insurance defense and she routinely handles the defense of retail, gaming, premises liability, construction defect, product liability, transportation, medical malpractice, professional errors and omissions, first party bad faith, motorsports and personal injury cases. Ms. Goodwin has served as a teaching assistant to first year law students in legal writing courses, and peer mentored both undergraduate and first year law students. She regularly volunteers with the ALS Association, Nevada Chapter. A lover of travel and the outdoors, Ms. Goodwin enjoys hiking, backpacking, trail running, skiing, kayaking, biking and exploring the wilderness of the United States and other countries.